Our Annual Spring Energy Event – What’s in it for YOU? 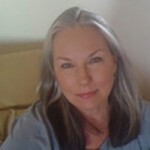 Today’s guest is Jondi Whitis, a professional EFT trainer and mentor in New York City. Passionate about community building, mentoring new practitioners, trauma relief, veterans’ and families with PTSD, and children issues, she joyfully offers customized ‘EFT Training for Mastery’ to laypersons and professional healthcare workers, alike. You can receive a guided meditation recording by Jondi, a quiet respite to the busy, noisy lives we all lead, or a perfect way to start or end your day, just for being our listener today. Please fill in your name and email to access your free gift.